Guyvers - vanguard of an alien invasion, the intelligence group. Extremely dangerous. They are against humanity and against scientific progress, in particular. Their goal is to subversive activities against the order and the global union of humanity. 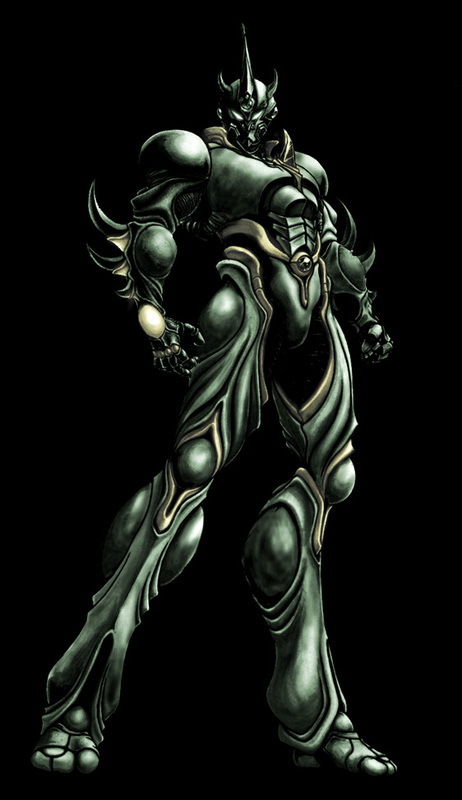 It is known that Guyver capable of taking human form. On the reward for the capture or information on the whereabouts of Guyvers, you can find out by contacting us. - Dark Guyver. The leader of the terrorists and the most dangerous of Guyvers. - Light blue Guyver. Is an accomplice of the Dark Guyver. - Black Guyver. Associate with Light blue Guyver. - Guyver, presumably a female. Dark Guyver accomplice. - Another Guyver, presumably a female. Head of terrorists in Asia, was last seen in Tokyo. Special features: prefers expensive European cars. - Segawa Tetsuro. He is accused of hacking directed to undermine the activities of Cronos. Seen in dealing with terrorists. Reward for the capture or information: 150 000 Eartho. - Segawa Mizuki. Sister and accomplice of Segawa Tetsuro. Reward for the capture or information: 100 000 Eartho. <- picture was made by an artist hiding under a pseudonym Neoguyvermax1993. - Jeffrey Vincent. Accomplice of the Dark Guyver and one of the leaders of the terrorists. Reward for the capture or information: 150 000 Eartho. - Cannibal. Responsible for dissemination of the false information about Cronos through the internet. One of the owners of the web resource which contains a malicious slander and insults: http://guyver-world.ru/wiki/. Reward for the capture or information: 20 000 Eartho. - Onami. Responsible for dissemination of the false information about Cronos through the internet. One of the owners of the web resource which contains a malicious slander and insults: http://guyver-world.ru/wiki/. Reward for the capture or information: 20 000 Eartho. <- the only available image associated with him, presumably cosplay. - Jess, criminal activity including spreading false information to many people in english speaking country's of the world via internet. Reward for the capture or information: 20 000 Eartho. <- painting by an unknown artist. - Zeezer. "Porter". Also known as Onami's protege (accomplice). The author of subversive essays. Reward for the capture or information: 20 000 Eartho. - Eudj. Intellectual criminal. By virtue of intellectual stuff, his crime can not be described in the text. Reward for the capture or information: 20 000 Eartho. - Jerry Goodman, leader of underground "Avengers" movement, wanted for attempting to cause political dissention. EXTREMELY DANGEROUS. Also wanted in connection to an assault on a platoon of Cronos troops, which left six soldiers in critical condition. One member of the platoon was found with a message attached to him, which contained aggresive anti-Cronos sentiment. If you have any information regarding this attack, contact us immediately. Reward for the capture or information: 20 000 Eartho. <- the only available image associated with him. - Kazimir. Strange masked being. As he describes himself: "And I have my own castle in Betweenreality and harem of Over 9000 concubines". Convicted of theft of scientific documents and their use against Cronos and other terrorist activities. Reward for the capture or information: 20 000 Eartho. <- blonde hair, red jacket, shorty. - Murokami (Not to be confused with Murakami). Scientist of terrorists, the developer of nanorobots. Participated in subversive activities against scientific progress. Reward for the capture or information: 20 000 Eartho. <- the only available image associated with him, presumably concealed by someone else's photo . - AleXounDirector. Accused of russification of Japanese and American propaganda, exposing Guyver as heroes, Cronos as an evil in its pure form, and Mizuki as an innocent schoolgirl. Reward for the capture or information: 20 000 Erfo. - Kind Uncle Lesha, also known as Kind Uncle Ramotith, Kind Uncle Vamore, Kind Uncle Gregal. AccusDoktor Who, Doctor Who, Doctor Who, Marvel, Doctor Who, Doctor Who Marvel Marvel Reward Doctor Who for the capture or Marvel information: 20 000 Doctors Whos. <- What?! What?! What?! What?! What?! What?! What?!. - Gq11. Accused of spreading false information about Cronos. Seen in dealing with Guyvers. Reward for the capture or information: 20 000 Eartho. - Mega Guyver. Charged with attempted crime against Cronos. Even though little is known about him, but he was spotted in a public statement against Cronos in very rough form. Reward for the capture or information: 20 000 Eartho. <- painting made by another criminal - Jess. - aptom. One of the most dangerous criminals. This week he pelted Russian Cronos Branch with horse manure. And a week earlier he came to the Russian Cronos Branch building wearing the uniform of a Russian soldiers during the Second World War and screamed "FOR STALINGRAD COMRADES!!!". Reward for the capture or information: 20 000 Eartho. - Surgeon. Known as a brilliant doctor of terrorists, which is developing illegal biological weapons. Seen in the conduct of medical consultations at various Internet resources. Smoking in prohibited areas. The number of his crimes is growing rapidly. Reward for the capture or information: 20 000 Eartho. <- picture was changed by the criminal in the graphics editor. - Enzayn. Little is known about this criminal, except that he's really dangerous. He is the leader of his own gang called "Enzayn party". Wanted dead or alive. Reward for the capture or information: 20 000 Eartho.